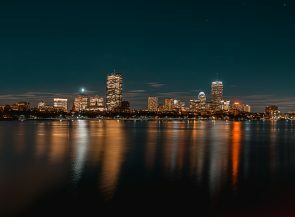 Boston, MA (February 6, 2019) – The Massachusetts Pension Reserves Investment Management Board (PRIM) announced today that it has adopted the Global Investment Performance Standards (GIPS®) from CFA Institute. PRIM, with more than $70 billion in assets under management, serves as the investment service for the retirement assets of Massachusetts teachers and many state and municipal employees. PRIM is one of only a handful of large public pension plans to comply with the GIPS standards. The GIPS standards are administered by CFA Institute, the global association of more than 159,000 investment professionals that awards the Chartered Financial Analyst designation. Many asset owners require their investment managers to comply with the GIPS standards, however it is less common for asset owners such as PRIM to apply the principles in their own performance reporting to oversight boards, governing bodies and plan beneficiaries. “GIPS compliance is the gold standard, and we are happy to be among those in the industry upholding that standard in reporting our performance to all PRIM stakeholders,” said Michael G. Trotsky, CFA – Executive Director and Chief Investment Officer of PRIM. 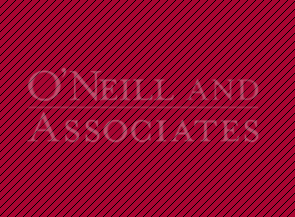 As of December 31, 2018, the GIPS standards had been adopted by 1,711 asset managers in more than 40 markets around the world, including all or a portion of 24 of the top 25 asset managers globally, according to data from Cerulli Associates. Introduced in 1999, the GIPS standards are universal, voluntary standards based on the fundamental principles of full disclosure and fair representation of investment performance. While adoption of the GIPS standards is not mandated by regulation, it is considered a best practice for investment managers and asset owners. “By adopting GIPS we are maintaining consistency in performance reporting between PRIM and the investment managers we work with,” said Matthew Liposky, Chief Investment Operating Officer for PRIM. For more information on the GIPS standards, visit www.gipsstandards.org. 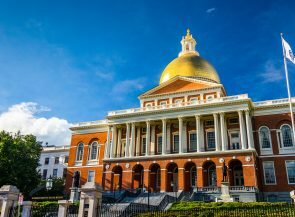 The Massachusetts Pension Reserves Investment Management (PRIM) Board serves as a professional investment service for the retirement assets of Massachusetts teachers and many state and municipal employees. PRIMs mission is to provide a professional investment service for retirees that maximizes the return on investment within acceptable levels of risk and cost. PRIM broadly diversifies its investment portfolio, capitalizing on economies of scale to achieve cost-effective, high quality, innovative investment management strategies and results. Learn more at http://www.mapension.com/. CFA Institute is the global association of investment professionals that sets the standard for professional excellence and credentials. The organization is a champion of ethical behavior in investment markets and a respected source of knowledge in the global financial community. Our aim is to create an environment where investors’ interests come first, markets function at their best, and economies grow. There are more than 160,000 CFA charterholders worldwide in over 162 countries and territories. CFA Institute has nine offices worldwide and there are 154 local member societies. For more information, visit www.cfainstitute.org or follow on Twitter at @CFAInstitute and on Facebook.com/CFAInstitute.